‘The affordable and social housing crisis will endure for a generation unless rapid and modular housing systems become the norm. However, the Irish Council for Social Housing is concerned that the structural defects that have arisen in relation to rapid-build schools has cast a shadow over the process, and this is something that concerns us when it comes to social housing delivery’. So says Dr. Donal McManus, CEO of the ICSH, at their National Social Housing conference in Kilkenny on 25th-26th October. ‘The new regulatory control system introduced in 2014 offers protection for households as well as housing developers, including housing associations. There are in-built site inspections under the new system with a Certificate of Compliance on Completion required by an Assigned Certifier. There are currently 38 rapid-build schemes under Rebuilding Ireland, which will deliver more than 1000 homes. The public needs reassurance that these are being developed under the new regulatory regime’, added Dr McManus. In the social and affordable housing sector, rapid build construction technologies are being used internationally with robust controls in place. Speaking at the ICSH Kilkenny social housing conference, Marten Lilja of Riksbyggen in Sweden, a cooperative housing company that develops and manages over 200,000 homes in more than 400 locations, says that they use rapid delivery methods to improve delivery timeframes. And David Rainey of Adston Construction, which has recently completed 24 Modular homes in Cherry Orchard for Dublin City Council, says that off-site construction is produced under factory controls with better predictability and control. ‘Driving down construction costs and improving delivery times is vital to expanded delivery of social housing’, says Dr McManus. ‘We need to set down a marker when it comes to affordable housing construction in Ireland and look at how we can expand modular and off-site construction. And in tandem, we need to look at the traditional skill-base of the construction industry in Ireland. We’re likely to see a sizeable skills gap’. Damien English TD, Minister of State with Special Responsibility for Housing and Urban Development opened the two-day conference, which brings together several hundred active housing associations, currently facing the challenge of growing their housing stock from 32,000 to 45,000 under the Rebuilding Ireland housing action plan. At the event, stakeholders from the public, not-for-profit and private sectors will discuss how collaboration can develop the sector’s capacity in critical areas of affordability, cost, scale, and innovation. 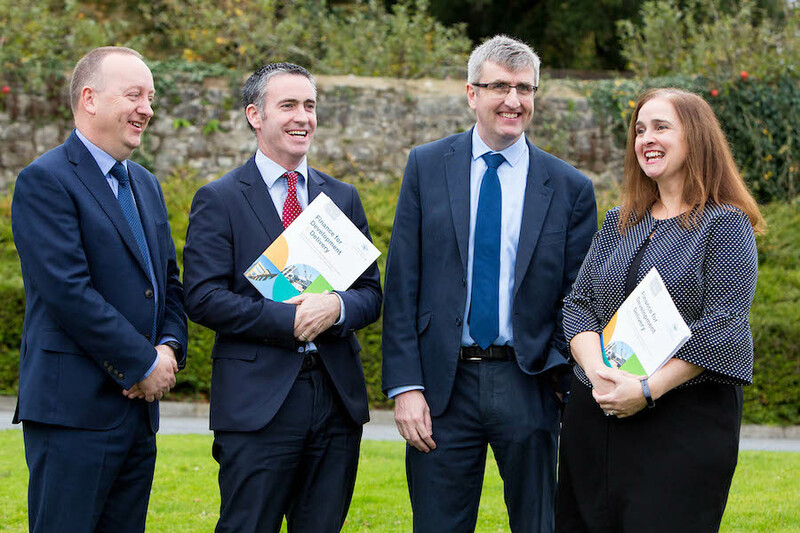 Commenting on the role of housing associations, Dr. McManus said: ‘Housing associations are an integral part of the housing system, provide a professional housing service to tenants and are ideally placed to respond to housing need over the coming years’. The introduction of a new affordable housing scheme whereby housing associations would deliver affordable rental options in mixed-income developments.